Family-owned-and-operated, ISU Insurance Services – The Palos Verdes Insurance Agency was established in 1955 in Redondo Beach, California by Truitt Berryman. Since our inception, we have been recognized for our professional and longstanding relationships with both the carriers and markets we represent and the clientele we serve. ISU Insurance Services – The Palos Verdes Insurance Agency (aka: PV Insurance) continues to operate out of its original headquarters in Redondo Beach, California. Throughout the years, we have expanded with satellite offices in Irvine, Sacramento, Sunnyvale, Seattle, Dallas and Chicago and can assist you with your personal and/or commercial insurance needs. Palos Verdes Insurance Agency (also known as PV Insurance Agency) represents many Insurance Companies including Travelers, Liberty Mutual, Nationwide, Mercury, Capital Insurance Group, Allianz, Dongbu, Berkshire Hathaway, Crusader, CSE, First American, Safeco, Kemper and Mapfre and many others. We continue to service clients with auto, home and business insurance needs since 1955. We are a family owned and operated agency that takes pride in providing our clients with attentive customer service. We translate the auto, home and business insurance jargon into everyday language. We understand that insurance can be confusing and we make it our business to explain your auto, home and business insurance needs to you in a simple, straightforward manner. If you live in Northern California, Southern California, Oregon, Washington, Illinois or Texas, we can help. We are an independent agency which means we represent a number of auto and home insurance carriers in the Northwest and Southwest. Because of our many years in business we have cultivated trusted relationships with our auto and home insurance carriers. We value our relationships with our auto and home insurance carriers just as much as we strive to deliver attentive and timely customer service to our auto and home insurance clients. 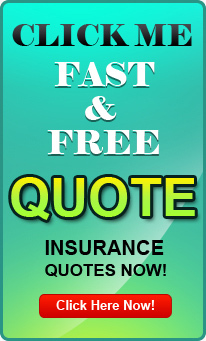 So give us a call if you’re looking for an auto or homeowners insurance quote. We will be here to help (with your insurance needs of course). We’re glad you’re here and we look forward to hearing from you!